The week following the Centennial celebration was a bit of a letdown for me. 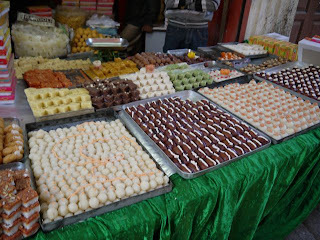 I was pretty well exhausted from all the activities. 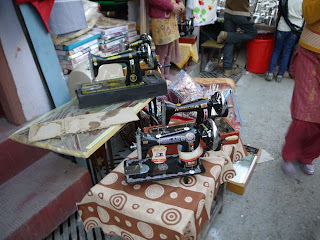 On Tuesday I went into the bazaar to get my permanent crown installed (I'd had the temporary one for about 3 weeks). 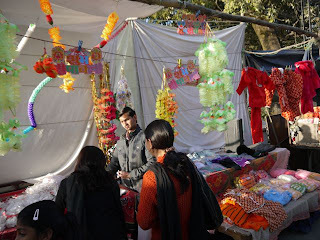 My appointment was at 4:00 and I enjoyed the walk through the bazaar both ways. 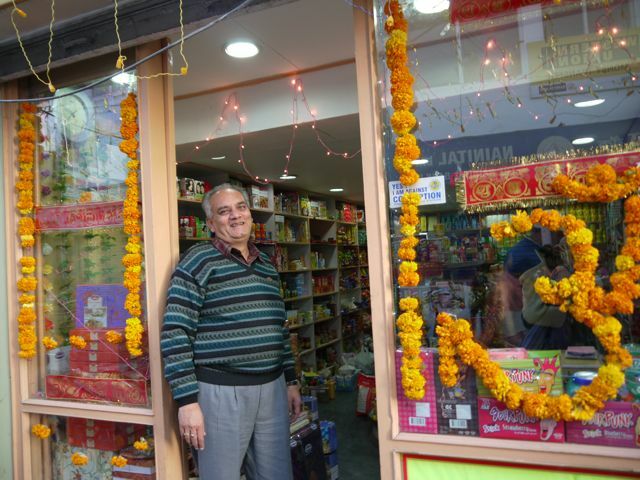 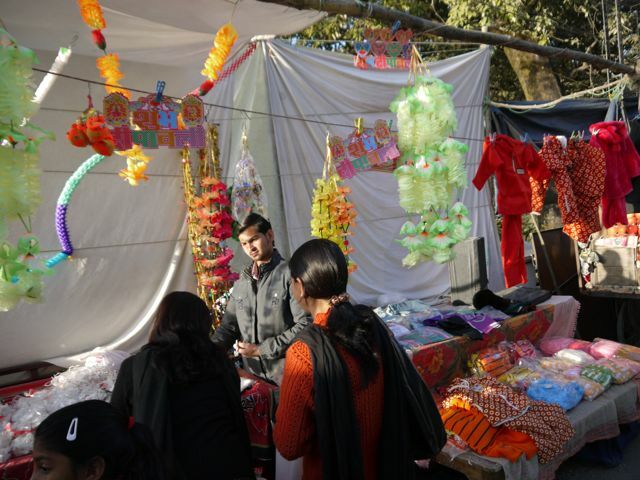 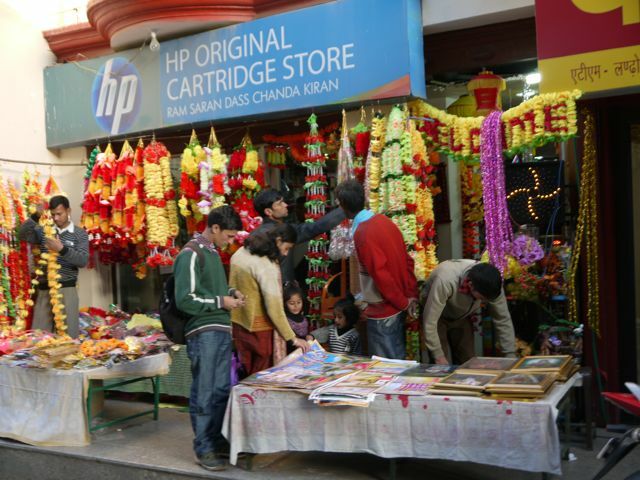 The following day was Diwali, and people were out in force, doing their last minute shopping. 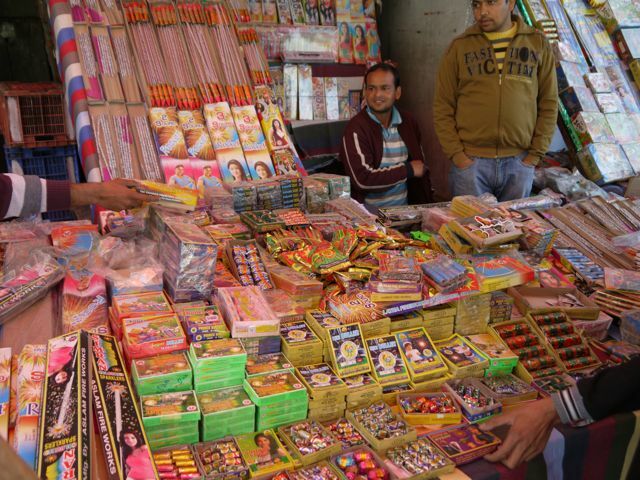 Diwali here is even bigger than Christmas in the US in some ways. 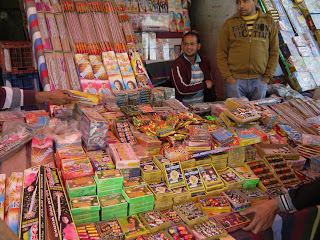 People get new clothes and shoes, purchase appliances, buy sweets to give to everyone they know, and celebrate with fireworks of all kinds. 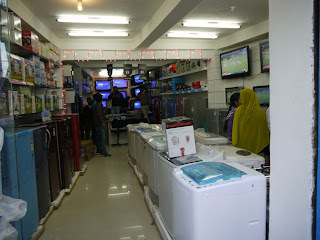 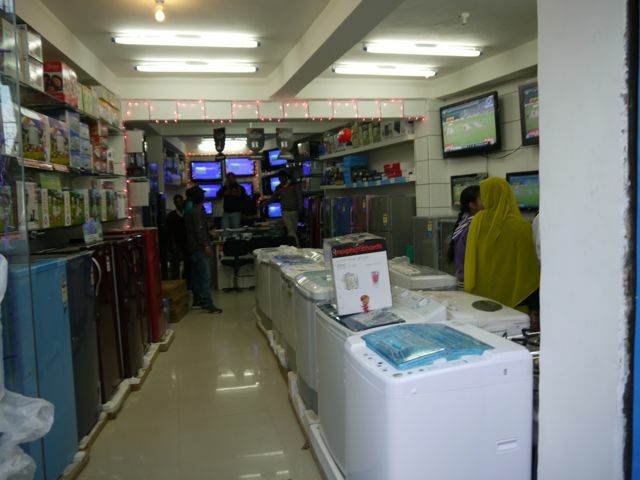 Appliance store with TVs, washing machines, fridges, etc.